One of the closest AKP-CHP battles seems to be set for the sleepy eastern Black Sea town of Ordu, currently held by the CHP even though they have never won it. The mayor is Seyit Torun, twice elected on the ticket of the Democratic Left Party (DSP) before switching allegiances to the CHP in 2011. He’s certainly popular – he’s been credited with installing a flashy cable car that takes passengers up the nearby mountain – and, at 45, he’s remarkably youthful for a two-term mayor. But Ordu’s plucky town life contrasts with its agrarian countryside. This is firm hazelnut territory: Turkey is the world’s largest producer, the Black Sea accounts for 80% of what Turkey grows and Ordu churns out more than any of its neighbours. More than half of the province’s people work in some way in the hazelnut industry. They are overwhelmingly, and unsurprisingly, AK Party voters. In 2004 and 2009, the centre-left DSP took the town mayoralty fairly comfortably while centre-right parties swept the provincial assembly. 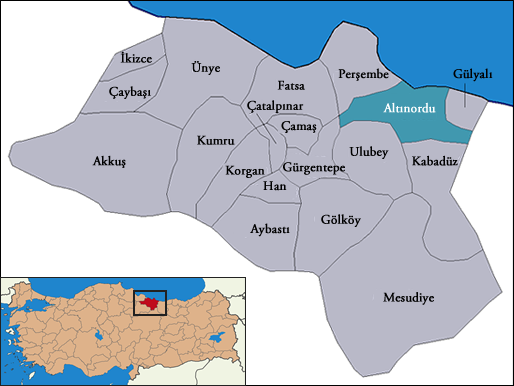 Ordu has six seats in parliament; the AK Party took five of them against the CHP’s single one at the last election, although it was a close fight for the last of those AK seats. This makes for a knife-edge marginal province in 2014 and an exciting fight for the new Büyükşehir mayoralty. An ORC poll in the region published at the beginning of October found the CHP ahead of the AK Party, but only just: 33.1% against 31.9%. Having been overlooked for a parliamentary seat in 2011, Mr Torun is set to be the CHP mayoral candidate in Ordu next year. But the AK Party looks set to roll out a heavyweight of its own against him: Enver Yılmaz, an MP from Ordu who falls foul of his party’s ban on more than three consecutive terms. Failing to keep a progressive town like Ordu in centre-left hands would be a disaster for the CHP, particularly when Büyükşehir powers await. The AK Party did poorly in coastal towns across Turkey at the last local election and Mr Yılmaz’s potential candidacy is a sign of efforts to reverse that trend. At this stage, and with polling so tight, Ordu is too close to call.